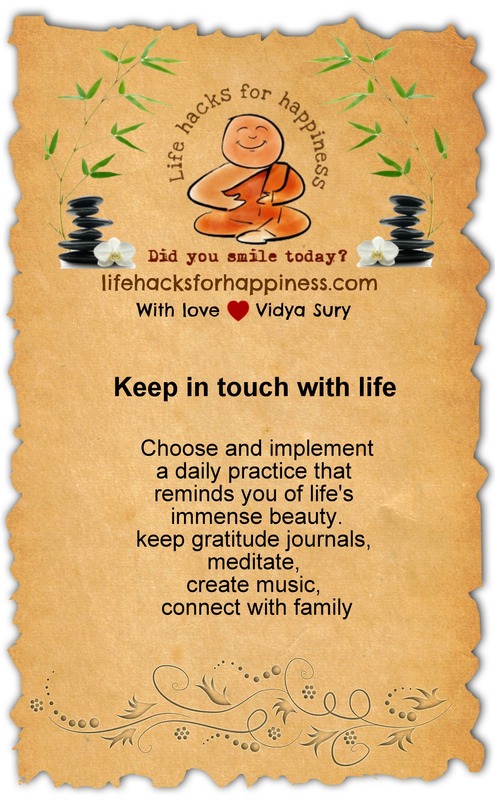 April is back and so am I with – you guessed it – life hacks for happiness. Let’s admit it, we can’t help but smile each time we see an easy tip or life hack, as I like to call it, that can make life just a little better. Something easy, something that does not require special equipment, something that takes just a minute or three. One thing I can promise you: I’ve been practicing doing these for a long time now and they all work! I hope you enjoy my life hacks for happiness as much as I enjoy bringing them to you. Here’s a preview of what you can expect. Thank you! 🙂 I am sure you’re going to enjoy it tremendously! Hi Ramesh! 🙂 yes, long time. Looking forward to interacting more! during the A to Z Challenge! Wow. . Inspiring and lovely. Practicing things which we love and repeating them daily makes our life happy and blissful. Thanks. Have a good time. 🙂 And A to Z challenge is a great challenge to enhance our creativity. What a wonderful way to tackle the AtoZ Challenge! You do realize you made my day, right, Daryl? 🙂 Thank you!